Dr Cassandra Mudgway is currently a Lecturer at the Auckland University of Technology Law School. She teaches and writes in the areas of feminist legal theory, international human rights law and international criminal law. In 2018, Cassandra published her PhD research as a book: Sexual Exploitation and Abuse by UN Peacekeepers: Towards a Hybrid Solution (Routledge). She is now researching the use of the term “patriarchy” in international law, and is continuing her work looking at sexual harassment and bullying in the armed forces. Outside of academia, Cassandra has interests in human rights and feminist activism. 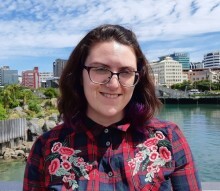 She was one of the founders of the University of Canterbury’s Feminist Society and has been an active member of the National Council of Women New Zealand.